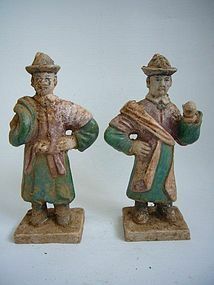 Two from an unusual group of 10, carrying musical instruments, tools and other objects. H. 24 cm. Condition: no damage or repair.